In what we will choose to imagine was an elaborate fight to death, waged between the actresses of cable dramas to distract us from our poverty—but what was probably just a few phone calls—Game Of Thrones’ Gwendoline Christie has replaced American Horror Story’s Lily Rabe in the final Hunger Games movie. Rabe was forced to drop out due to commitments to a Shakepeare in the Park production of Much Ado About Nothing—the original young-adult fantasy franchise—leaving her role as the rebel Commander Lyme vacant. 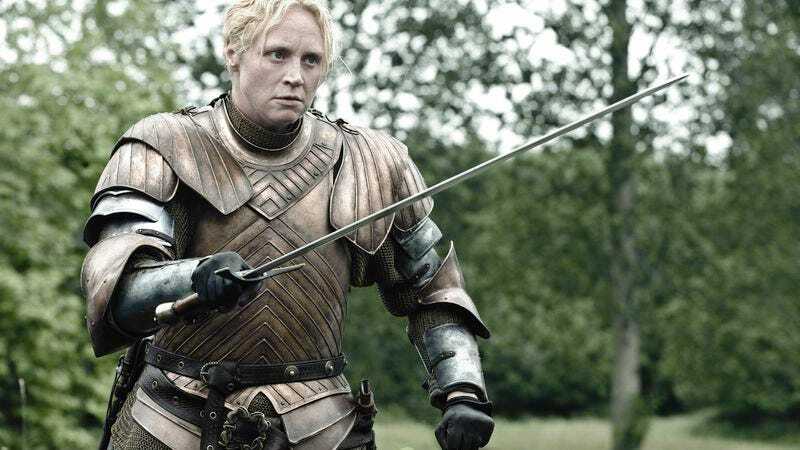 And now Christie, known for playing the intimidating Brienne of Tarth, will fill that role, in what seems like a fairly lateral move. It’s all just games, anyway. Christie’s casting is expected to make her the first Hunger Games character who actually looks like she could kill someone.